Before they buy something, most people will look at its reviews; 80% of those people will change their mind after reading something negative. We’re guessing your main goal is to be successful, which means the last thing you’d want is negative information strewn all over the Internet about your business. The good news is there’s a way to counteract the negatives and get your reputation back to being great. At Prager, we know that many people will only provide feedback if it’s negative feedback, meaning they’re more likely to write a review after a bad experience than after a good experience. Is this frustrating? You bet. But by replacing negative feedback with positive feedback from happy customers, we can help relieve your frustration. Contact us today to start feeling better. We know it’s hard to satisfy everyone and sometimes your company’s reputation can be compromised because of an unhappy customer. 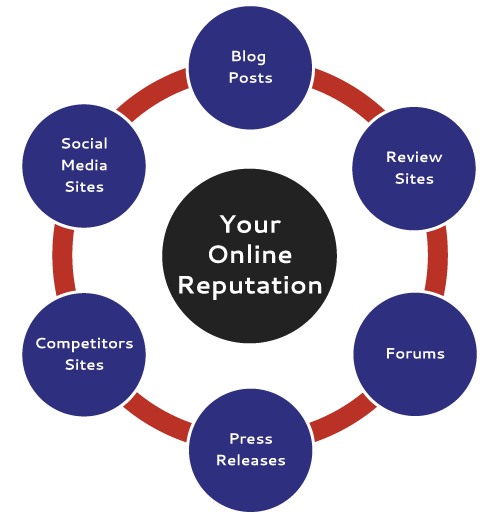 With our reputation management consulting, we build a strategy to help replace negative feedback with positive feedback in the form of content. Good content reestablishes credibility and by optimizing that content, we can help you outrank the negative responses. We can also address customer complaints and rectify any troublesome situations to help you succeed.